While the term “blended learning” has recently become a new buzzword, the actual concept or practice has been around for several years. In today’s economic uncertainty, one of the biggest challenges companies probably facing is how to provide their workforce with training opportunities to help them to develop their skills and prepare the them for advancement. 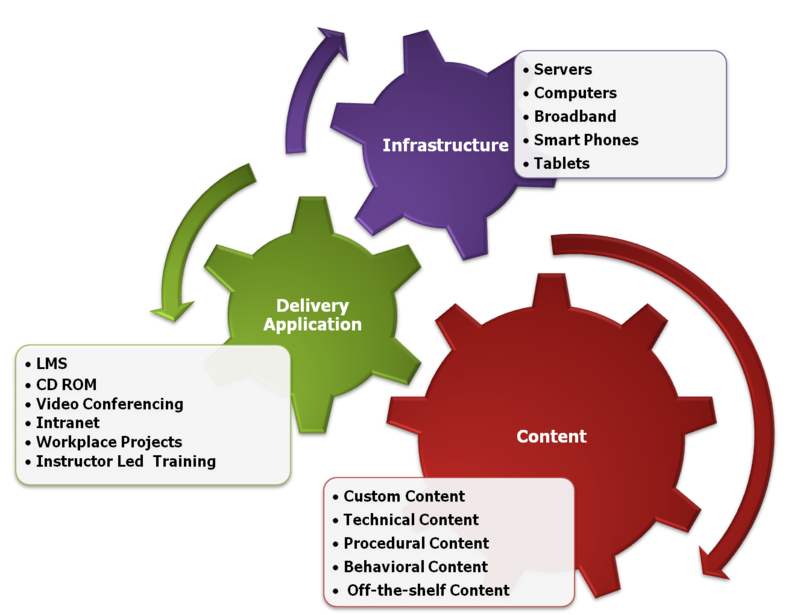 Developing and implementing a blended learning approach to a training programs gives the organization the ability to do more with less, while building a higher performing organization and giving the workforce the skills they need to grow and advance in their careers. When we talk about ‘the blend’, we no longer simply mean a mix of traditional e-learning and classroom training and the concept of the standalone ‘course’ is arguably redundant. 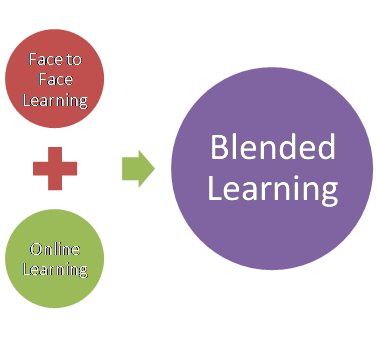 Today, the term blended learning means combining two or more approaches to enhance learning and development, using face-to-face learning methods (on-the-job training, instructor-led classroom training, etc.) and some variation of online/virtual learning (webinars, live e-learning [virtual classrooms], web-based learning modules, etc.). There are several different ways to enhance your workforce’s learning experience, and the following reasons outline why blended learning, when used properly, is one of the most effective ways to train and develop your workforce, while improving your organization’s overall performance. The European E-learning barometer teaches us that today already 7% of the e-learning audience is senior management, 22% general management and 6% high potential. It has also found that 37% of companies use e-learning components for management and leadership training. Together with our partner, www.crossknowledge.com, Krauthammer (www.krauthammer.com) is developing different types of client based-programs. We see a trend that many of our clients enhance instructor-led trainingprograms with online programs. – Are you our next client that wants to build a future performance platform together with us or want to know more? You are welcome to contact us! The SCARF model explores the core issues that drive engagement at work. 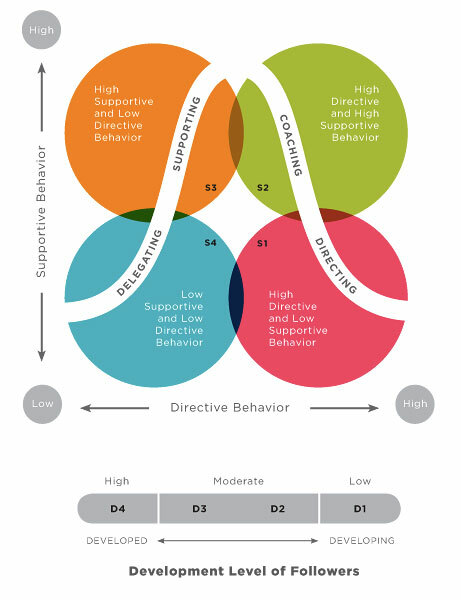 Based on recent neuroscientific research, these assessments identify how well an organization or manager is providing people with what the brain requires in social settings for optimal performance and engagement. There are five main domains that when either positively or negatively affected, can have a major impact on one’s motivation and engagement levels. When it comes to almost anything, but particularly anything within these domains, the brain is wired to look at them as either a threat (negative), or reward (positive). 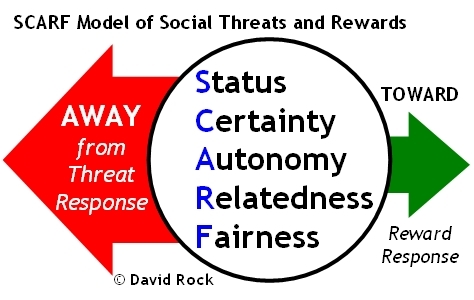 When we are threatened in any of the domains, this creates an away response. We retract, are unable to process complex thoughts, think clearly or take in new ideas. When we are rewarded, or feel positive in any of these domains, we become motivated, are happy, able to think clearly, make the right decisions, have insights and make less mistakes. We have a towards response. Openly praise and give positive feedback in front of others. ‘Constructive’ feedback should be useful and done in private. Help people achieve more. 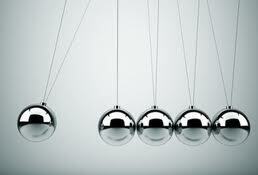 In a work setting, help them break large projects down into smaller parts so that there is a sense of achievement. When we achieve, our feeling of status goes up. Rather than give promotions to roles, which may be outside of someone’s ability, try giving people special projects to work on that are based upon their skills set. Create a sense of ‘importance’. Focus on their learning and their development. When people feel they’ve learned something new and are ‘better’ their status goes up. When there is uncertainly looming in any area of our life, it can consume our thoughts. You may have been in a situation when your manager has been vague or ambiguous about you in your role, or what they expect from you. How did it feel to have that uncertainty? When dealing with staff, communicate your expectations clearly up front, and allow the employee to ask questions that will give them 100% certainty of what you expect. Make sure you make it comfortable for them to ask questions. If you have to speak about a challenging subject (either as a manager, partner or friend), don’t create a sense of uncertainty a long time before the conversation will take place. For example, ‘I need to have a discussion about your performance on this project, how does next week sound?’ will negatively impact the performance of an employee. Help people plan and organize their thoughts or work. Having a plan in place creates a sense of certainty, even when it may or may not be used. We like to feel as if we are in control of the things in our life. Being in control means having choice. How many people do you know that have left a job because they were micro-managed? People leave jobs in the hope that they can have some sort of control over their work. Give the perception of autonomy – in work, allow people to have flexibility around how they organize their day, their workspace, work hours can give employees a sense of control over their life. Relatedness refers to how connected we feel to someone or a group of people. Whether they’re a friend – someone who ‘gets’ us and is on our side, or a foe – someone who you don’t connect with, doesn’t understand you or is in competition with you. Create safe spaces to increase relatedness with others. For example, setting up buddies or mentoring and coaching relationships that are well defined. Take the time to understand people and really hear what they are saying. In a manager and employee relationship, it’s important to ensure that your employee sees you as someone that’s on his or her side. You can do this by ensuring that you’re listening to them and communicating with them in a respectful way. Ensure that the same set of rules apply for everyone. Involve groups or teams (or even family members) in setting the rules, so that everyone feels included and agrees on what is considered ‘fair’. Establish clear expectations from the start so that people know what they need to set out to do and cannot argue that they have been treated unfairly if they haven’t performed. Keep the SCARF model top of mind and identify where you are creating a towards or an away response with people in your life. Ask yourself, to be more effective in my interactions with this person, what do I need to improve on in these five domains? How much thought have you given into what kind of leader you want to be? Your leadership style can shape how your business functions, as well as how your employees will react to you. Your managers will take cue from you based on how you handle employees. How much thought have you given into what kind of leader you want to be? There are a number of theories about different leadership styles, many involving a continuum – two opposite styles with a number of intermediate stops between them. Below is a description about task vs. relationship oriented leadership and about advantages vs. disadvantages. Task oriented leaders focus on getting the necessary task, or series of tasks, at hand in order to achieve a goal. These leaders are typically less concerned with the idea of catering to employees, and more concerned with finding the step-by-step solution required meeting specific goals. They will often actively define the work and the roles required, put structures in place, and plan, organize, and monitor progress within the team. The advantages of task oriented leadership are that it ensures that deadlines are met and jobs are completed, and it’s especially useful for team members who don’t manage their time well. Additionally, these types of leaders will tend to exemplify strong understanding of how to get the job done by focusing on the necessary workplace procedures, thus can delegate work accordingly in order to ensure that everything gets done in a timely and productive manner. However, because task oriented leaders don’t tend to think much about their team’s well-being, this approach can suffer many of the flaws of autocratic leadership, including causing motivation and retention problems. Relationship oriented leaders are focused on supporting, motivating and developing the people on their teams and the relationships within. This style of leadership encourages good teamwork and collaboration, through fostering positive relationships and good communication. Relationship oriented leaders prioritize the welfare of everyone in the group, and will place time and effort in meeting the individual needs of everyone involved. This may involve offering incentives like bonuses, providing mediation to deal with workplace or classroom conflicts, having more casual interactions with team members to learn about their strengths and weaknesses, creating a non-competitive and transparent work environment, or just leading in a personable or encouraging manner. The benefits of relationship oriented leadership are that team members are in a setting where the leader cares about their well-being. Relationship oriented leaders understand that building positive productivity requires a positive environment where individuals feel driven. Personal conflicts, dissatisfaction with a job, resentment and even boredom can severely drive. The downside of relationship oriented leadership is that, if taken too far, the development of team chemistry may detract from the actual tasks and goals at hand. Mixed conclusions have risen from studies that try to determine the effects of task oriented and relationship oriented leadership: some show that relationship oriented leadership produces greater productivity, while some show that task oriented leaders create greater group efficacy. However, a common finding is that relationship oriented leadership will generate greater cohesion within groups, as well as greater team learning. It is also supported that relationship oriented leadership has stronger individual impact, and a positive effect on self-efficacy.